Last week, we saw that escalated dose did not improve 10-year overall survival in high-risk men (see this link). The latest published findings of the randomized clinical trial (RTOG 0126) prove that 8-year overall survival was not improved in intermediate-risk men who received a higher radiation dose. In both studies, we are left wondering whether that matters. No patients had adjuvant ADT, but they may have had salvage ADT or other salvage therapies if radiation therapy failed. This randomized controlled trial raises many important questions about the design of clinical trials and the validity of conclusions drawn from them. Dr. Michalski addressed some of these concerns in an audio interview presented with the published study. This was an enormous undertaking, running almost two decades from design to reporting, and coordinating the treatments and reporting of 1,500 men in over 100 sites spread throughout Canada and the US. The results show that dose escalation was not needed to increase 8-year survival in these intermediate-risk patients. But this probably won’t change practice for a number of reasons. The intervening endpoints are of considerable importance to patients: the anxiety associated with rising PSA, the toxicity of all the salvage therapies, and the pain and possible crippling due to metastases all impact quality of life. The median age of the men at treatment was 71, and they were screened for good performance status. The actuarial life expectancy in the US for 71-year-old men is 14 years. This implies that they ought not make a decision based on expected survival for only 8 years. Also, as radiation-treated men get treated at a younger age, the gap will become more pronounced. According to the Memorial Sloan-Kettering Life Expectancy Nomogram, a 71-year-old intermediate-risk man in good health has only an 8 percent probability of succumbing to prostate cancer in 10 years (vs 3 percent in 8 years in this study), and 12 percent at 15 years if he had no treatment whatever. At the same time, his probability of dying from other causes is 30 percent in 10 years, and 51 percent in 15 years. The overall survival improvement may not become apparent until median survival is reached in 15 years. And differences in prostate cancer survival are difficult to discern when numbers are this low. But it is difficult and costly to track patients for 15 to 20 years. We have to look to surrogate endpoints. While 8-year overall survival and prostate cancer-specific survival did not improve, all the intervening endpoints did. Biochemical failure, local progression, distant metastases, and use of salvage therapies were all worse in the low-dose group. 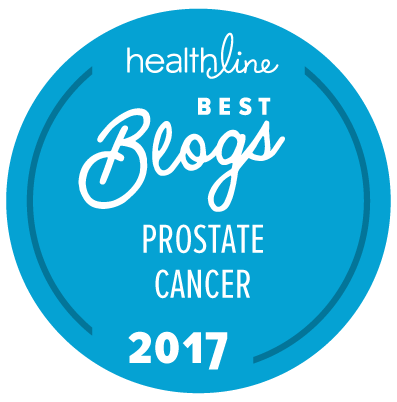 It is very costly and difficult to run a randomized controlled trial for long enough to see a survival difference in men with localized prostate cancer. As we’ve seen, the few trials like this that have run the longest for each type of therapy have been single institution studies with much smaller sample sizes. Distant metastasis-free survival is probably a better surrogate endpoint if the study can’t run for 15 to 20 years. There were enough metastatic events to see a difference. A recent analysis by the ICECaP Working Group of 12,712 patients in 19 clinical trials of radiation in localized prostate cancer showed that 5-year metastasis-free survival was almost perfectly correlated with overall survival. By reducing the time needed to accumulate data, this might increase the relevance of such trials while reducing their costs. As Dr. Michalski points out, survival in both groups was much better than expected when the study was designed in 2001. This is largely because life-extending salvage therapies (e.g., docetaxel, GnRH/LHRH agonists, Zytiga, Xtandi, Xofigo, and Provenge) have become prevalent in the interim. Toxicity was markedly reduced by the introduction of IGRT/IMRT technology that became increasingly available, especially in the US, in the last 20 years. With the improvement in beam accuracy, and the knowledge of the dose/toxicity relation of organs at risk, tighter dose constraints for organs at risk have been utilized. Because of the technology changes, a high-dose regimen today is probably no more toxic than a low-dose regimen. So, if there is little toxicity cost to the more effective treatment, why not use it? Rapidly adopted changes in radiation technology in the last 20 years, especially the shift from 3D-CRT to IMRT, render many of the findings irrelevant to today’s standard practice. Another randomized controlled trial reported by Nabid et al. at the 2015 Genitourinary Conference had similar findings. They found that 10-year overall survival was no different for higher dose (76 vs 70 Gy) or the addition of short-term ADT. Biochemical failures were actually worse in the higher dose group, but only if short-term ADT was not used with it. Zaorsky et al. conducted a meta-analysis of dose escalation trials in intermediate-risk men and arrived at a similar conclusion. A contrary finding was noted by Kalbasi et al. in their analysis of the National Cancer Database. They found that there was a significant survival increase associated with higher dose (hazard ratio = 0.84). In fact, for every 2 Gy increase in dose, there was an 8 percent reduction in the hazard of death in intermediate-risk patients. Being retrospective, their analysis suffers from selection bias — it may be that the frailest patients got lower doses. However, they did include more unfavorable intermediate-risk patients, including those treated with adjuvant ADT. We are now recognizing that unfavorable intermediate-risk patients may benefit from adjuvant ADT and higher doses, whereas the favorable intermediate-risk patients may not. EORTC 2291 and the Nabid et al. trial established that short-term (6-month-long) ADT markedly improved progression-free survival. Several retrospective studies (like this one and this and this) suggest that the benefit is limited to those with less favorable disease characteristics. It may well be that higher doses are necessary to overcome the radio-resistance of high volumes of Gleason pattern 4. The degree to which RTOG 0126 is irrelevant to contemporary decision-making is heightened by the success of hypofractionated IMRT and SBRT in intermediate-risk patients. Both provide much higher biologically effective doses, equal efficacy to conventional IMRT, and about the same toxicity. Also, their cost is lower and patient convenience is higher. Unless a patient has an anatomical abnormality such that dose constraints cannot be met, it is hard to come up with a reason why higher biologically effective doses should not be used. Editorial note: This commentary was written by Allen Edel for The “New” Prostate Cancer InfoLink. Allen thanks Dr. Howard Sandler of the Cedars-Sinai Medical Center, Los Angeles, for allowing him to see the full text of the study. Studies with overall survival at 10 years – ugh! Thanks again Allen for another one of your helpful reviews. I liked your handling of the prematurity of this data regarding overall survival. Frankly, I’m getting really tired of studies that find no differences at 10 years of median follow-up, or even complete follow-up at 10 years, for prostate cancer. It’s just too short a time frame because survival is now so good, unless you are dealing mainly with that unfortunate subset who had distant metastases at diagnosis. I like the use of the other endpoints and their encouraging results, though I do wish the authors had separated the fairly mild and tolerable grade 2 side effects from the more concerning and less tolerable grade 3 and higher side effects. The authors do show Grade 3 side effects in Supplementary Table e2 of their 2014 study. The link is in the article above. Thanks Allen. Got it this time. I find those relatively low grade 3 (and higher) incidence numbers, especially low for the IMRT patients, most encouraging!